Lewis Hamilton is leading the championship heading into this weekend's first European race of 2018, but he is doing so despite a wobbly start to the season. The championship positions are only one set of numbers - and there are others that tell a more complex story about the season. For example, Hamilton's Mercedes is not the fastest car. That's the Ferrari. And there are other key stats, too. 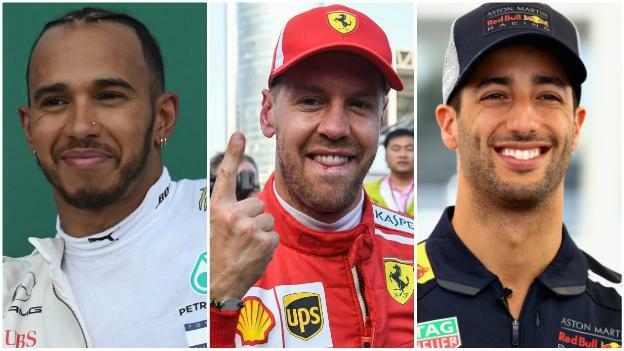 Which driver is out-performing his car the most? Which set of team-mates are the most competitive - and the least? We've crunched the numbers so you don't have to - and here they are, revealing the partially hidden real story of F1 2018 so far. Who is getting the most out of car? This chart shows each drivers' average qualifying position so far this season. Their actual championship positions are also provided to compare the pace of car the versus driver's effectiveness in races. Fernando Alonso has arguably been the most effective at getting the best out of his resources during the race. His average qualifying position is 12.5 but he currently sits sixth in the drivers' championship after four top-seven finishes so far this season.